Gardening involves knowing about and maintaining all of the different parts of a garden; from the soil and plants to the structures and beneficial microbes. 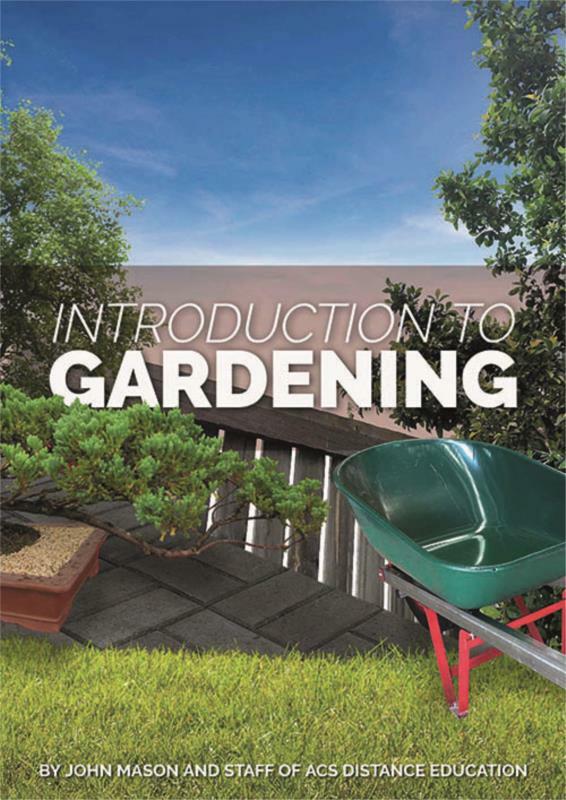 This book is a great starting point for any gardener, amateur or professional; and an opportunity for experienced gardeners to review their knowledge and fill in any gaps they may have in their approach to gardening. A garden may be as small as a balcony, or as large such as acreage. Anywhere where plants are grown and tended may be considered a garden. Whilst most are at home, other gardens include community gardens, gardens around work premises, botanic gardens, national trust gardens and public parks. Gardening practices can be undertaken in orchards and vineyards through to green walls on city buildings to the plantings in streetscapes. Gardening can also be indoors from green office spaces through to potted plants on a window sill. When you understand the things that are presented in this book, you make fewer mistakes when you garden. That can save you time and money; and ultimately lead to having a better garden. You can't choose the best way of gardening unless you know all the options. Gardening has evolved over hundreds of years and naturally, over that time period, a wide range of techniques to make gardening easier or more productive have emerged and been refined. Others may be regarded as specialist techniques, such as creating bonsai or hydroponic growing. 'No-dig gardening' emerged as a method of gardening which avoids cultivating the soil. Briefly, no-dig gardening refers to building up garden beds with layers of organic materials so as to avoid tilling or digging the soil. Although timber edges can be used to construct no-dig beds and may help to keep beds intact, this is not really necessary. Beds can be layered straight on top of the soil without the use of edging. Straw can also be placed between the beds to create weed-free pathways. Over time, the straw in the paths decomposes and can be removed and replaced with new straw. The decomposed material is then used to top up the beds. Weeds are removed first by mowing, hoeing, burning or some other method. The area is then thoroughly watered. Very thick layers of uncoloured newspaper are laid on the surface to inhibit further weed growth. Up to 50 sheets thick is not uncommon. Again, this layer is soaked in water. A layer of straw or hay free of weed seeds is placed on top of the newspaper at least 10 cm thick (other materials such as weed-free compost or grass clippings can be used instead). The straw or hay is covered with rotted manure to a thickness where the straw or hay can barely be seen. A further 8 12 cm of hay is placed on top. At this stage, depending on the location, soil, and intention for using no-dig, the surface may be sprinkled with blood and bone fertiliser or chicken manure pellets. Small quantities of these materials may also be mixed with the hay or other materials. Whether or not this is done depends upon the soil quality. For example, some Australian soils are very ancient and poor and need the added ingredients; however locations with younger and/or richer soils will not require this. Transplant seedlings directly into the top layer and add a few handfuls of good quality compost around the roots of each transplant. Where this method is used to clear a site, gardeners may also plant through the mulch in the first year. This is done by cutting holes in the mulch and planting through it. Typical plants to use would be tomatoes, courgettes, seed potatoes, and runner beans. Once the area is free of unwanted growth, seeds can be sown as usual in shallow drills. Holes can be made for transplants. In colder climates it is necessary to consider the depth of the mulch and which vegetables are suitable. Seedlings or established container plants can be planted directly into a lawn or grassed area. No digging is done prior to planting. The roots of the plants tend to go deeper because they are in competition with shallow-rooted turf grass species on the surface. The base of plants can be mulched and unplanted areas continue to be mown as a lawn. Drainage, soil compaction and water retention generally remain very good for plants grown this way in undisturbed soil. Research has shown excellent results for tomatoes, beans, corn and squash grown like this. The technique can also be used for other types of garden plants. A similar technique is called 'vegetable-sod inter planting', where growing strips 20-40 cm wide are mulched and planted as rows over an existing lawn or mowed turf. A narrow line may be cultivated sometimes down the centre of each row to sow seed into, if using seed, to hasten germination. Mulch mats, black plastic, paper or organic mulches can be used to contribute to weed control in the rows. Crop rotation is usually practiced between the strips. This contributes towards better weed control. Clover is often encouraged to grow in the strips of turf between rows to help improve nitrogen supplies in the soil.